It isn't only Niger. American troops are deployed in more than 150 countries, working with local partners to help them become better soldiers and meet their own threats. What is happening in Niger is happening in all the countries of the second tier of Africa -- volatile and insecure countries of mixed Christian, Muslim and traditional indigenous religions. American soldiers are there to help governments more effectively control their own territory and borders, reducing the likelihood of transnational jihad. Iran's massive infusion of funds supports Sunni Hamas, al-Qaeda, ISIS, Boko Haram and others. Instability, chaos, anti-Americanism, anti-Westernism, and anti-Christianism are what Iran seeks -- and they are what Sunni jihadists seek. In Iraq and Syria, ISIS did the destabilizing and Iran reaped the benefits. At the end of White House Chief of Staff John Kelly's moving briefing about the four American Special Forces soldiers killed in Niger earlier in October, he took questions. The first was, "Why are we in Niger?" The question was too narrow; it isn't only Niger. Tens of thousands of American troops are deployed in more than 150 countries, working with America's local partners to help them become better soldiers and meet their own threats. We are on every continent except Antarctica. While we are unlikely to ever know precisely who killed the four soldiers, what is happening in Niger is happening in all the countries of the second tier of Africa -- volatile and insecure countries of mixed Christian, Muslim and traditional indigenous religions. American soldiers are there to help governments more effectively control their own territory and borders, reducing the likelihood of transnational jihad. Two broad forces are shaking the Middle East and Africa: Sunni jihadist radicalism embodied by ISIS and al-Qaeda along with smaller groups; and Shiite supremacism controlled and financed by Iran. Iran's arms transfers to Africa are well documented, as is Iran's support for Sunni jihad, including incubating both al-Qaeda and ISIS. Separately and together, they threaten not only countries, but also the Red Sea and the Mediterranean Sea, the two prime waterways that allow countries, including Israel and Egypt, to pursue trade with Asia and Europe. The mullahs in Iran are not Iranian or Persian nationalists, they are Shiite supremacists. When the Ayatollah Khomeini returned to Tehran in 1979 after fourteen years of exile, he condemned all nationalism as "sherk," which means associating other beings or things with God. 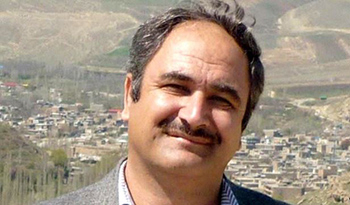 He said what mattered was Islam, not Iran or any other country, according to the Iranian journalist Amir Taheri, Chairman of Gatestone Europe. Khomeini declared war on the United States, on Israel, and on the West. The declaration was real and has military as well as political implications, but it was also a way of deflecting attention from Iran's declaration of war on Sunni Islam. It was a bold move, because although Shiites are the majority in Iran and Iraq (though not in Syria), they represent less than 15% of Muslims world-wide. Iran's primary targets are the Sunni governments of Saudi Arabia, which controls the holy sites in Mecca and Medina, and Egypt, the historic intellectual center of Sunni Islam. The 2003 overthrow of the secular-but-Sunni president of Iraq, Saddam Hussein, allowed the majority Shiite Iraqi population to rule, but the precipitous American military withdrawal in 2012 allowed Iran to move steadily into areas of more influence. Iranian-sponsored Shiite militias are now inside the Iraqi national military pushing against the Kurds in the north. In Syria, Iranian-sponsored militias are pushing Sunnis north and out of the country on behalf of the Shiite/Alawite regime of Bashar al-Assad. But while American focus has been on Iranian expansionism to the north and west of Iran -- a "Shiite crescent" over the tops of American allies Saudi Arabia, Jordan and Israel -- less attention has been paid to Iranian activity to the south of those countries, through the Red Sea and into Africa toward the Mediterranean. Following naval harassment of U.S. ships in the Persian Gulf, Iran announced that it will "defend its interests" in the Red Sea, using its position as benefactor of the Houthis in Yemen as a starting point. If successful, this would allow Iran to threaten the Red Sea and the Bab-el-Mandeb Strait, the access point for Saudi Arabia, Israel, Jordan, and Egypt to the Gulf of Aden and then to the Indian Ocean and to Asia. Iran ships weapons to and through Eritrea and Somalia on the Red Sea coast. This is important because U.S. Expeditionary Forces are based in Djibouti, which juts out into the sea. North of Djibouti and our forces is Eritrea; south of Djibouti and our forces is Somalia. Well-armed and unstable, they present a problem for the Americans. Iran's interests are not limited to the countries along the coast. The other waterway that concerns the United States, Israel and the West is the Mediterranean Sea. The countries along the north coast of the Mediterranean are European, all of which are in NATO. The countries facing them along the south shore of the Mediterranean, along the northern African coast, are Sunni Muslim, and, except Libya, partners in NATO's Mediterranean Dialogue. The arrangement helps keep the Mediterranean calm and free for shipping. The 2011 ouster of Libya's Moammar Qaddafi caused chaos in a previously stable -- if repressive -- country. Released weapons and fighters resulted in war in Mali, which had been an ally of the United States and France. Additional instability would make NATO's arrangements less effective and provide additional routes for African migrants seeking to reach Europe. One way to make North Africa less stable is to make the row of countries just beneath it less stable. Chad, Mali, Somalia, Eritrea, Sudan, and yes, Niger, are all targets. They are, to be sure, as much targets of Sunni jihad as they are of Iran, but Iran's massive infusion of funds supports Sunni Hamas, al-Qaeda, ISIS, Boko Haram and others. Iran's support for al-Qaeda goes back to the early 1990s. Instability, chaos, anti-Americanism, anti-Westernism, and anti-Christianism are what Iran seeks -- and they are what Sunni jihadists seek. In Iraq and Syria, ISIS did the destabilizing and Iran reaped the benefits. General Kelly made a sober, passionate defense of American military honor and sacrifice. It is incumbent on the rest of us -- including journalists -- to understand where our troops serve and sacrifice, including why Niger. IMHO, this issue is not as cut and dried as it seems to be portrayed. It's more about politics and oil. American troops have been in 150 countries for a long time, not only now, often leaving some countries in worse chaos then they were before. Even though Saddam Hussein - like all the rest of the Middle East leaders, was a despot, George Bush made a huge mistake by invading Iraq and overthrowing Hussein, with the justification of "bringing democracy". He should have known that tribal people don't understand or want democracy as we know it. By that hostile act, all hell broke loose in the ME and opened the way for the various jihadi and Islamic groups to gain a foothold and carry out their evil deeds, which is still causing untold suffering to thousands of people. 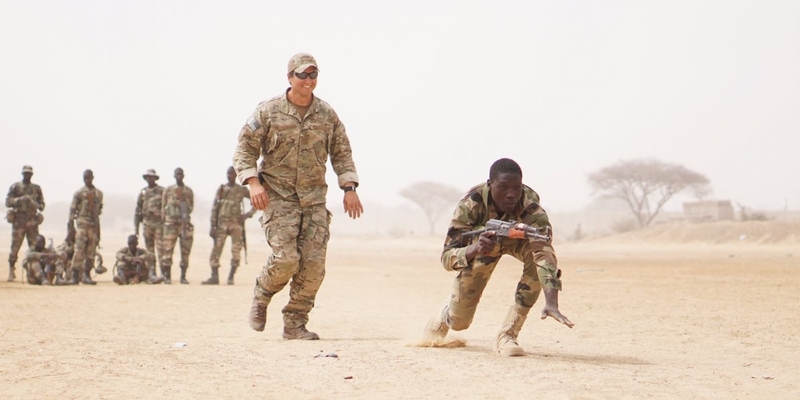 It is all well and good for American soldiers to teach local Africans to be better soldiers, while the presence of ISIS et.al is ignored in America. Where are they when persecuted minorities in the ME need help. Their activities appear to be militaristic and not humanitarian. It is good to remember that during the cold war communists where the 'terrorists' of those days and America was also active in countries suspected of having communist sympathies, often leaving those countries worse off than they were before. I have read Iraqi's say that even though Saddam was a cruel man, they had freedom of worship, but now they are worse off. America is not innocent in this political conflagration nor in Iran's capabilities since Obama was president. Excellent analysis Shoshana. It substantiates my suspicion regarding Barry Soetoro's (aka BH Obama) treasonous actions in relation to his ME "Policy" favouring Iran; particularly the Iran Nuclear Deal. While the US military missions to assist these governments in fighting terrorists are helpful, they are not going to solve the problem. It's going to be necessary to go to the source and destroy the Iranian regime, hopefully before they have enough nuclear weapons to retaliate. The terrorists will be considerably less trouble to eradicate when their sources of funding and supply are reduced. Then, their Sunni benefactors must be dealt with.